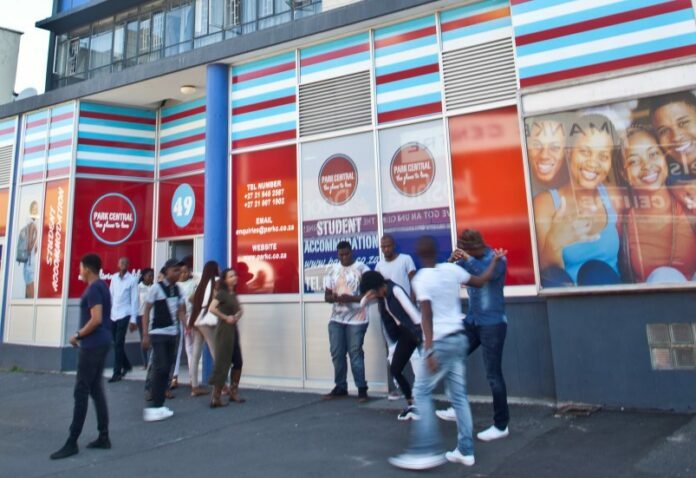 Students in front of Park Central, a private student residence in the heart of Bellville. The Greater Tygerberg Partnership (GTP), an organisation that is working to take Cape Town’s Bellville into a new economic, social and environmental chapter, has launched an innovation challenge to surface cutting-edge, implementable ideas to help enhance the safety of students in the area. The collaboration challenge is open to teams of students living in residences in the Bellville central business district (CBD) and the Greater Tygerberg area, with the winning residences receiving over R30 000 in prizes and a chance to see their solutions transformed from idea to reality by the GTP. Bellville is rapidly becoming a student-centric city. It is home to leading tertiary institutions including the University of the Western Cape, Stellenbosch University Business School (located in Tyger Valley), the Faculty of Medicine and Health Sciences at Tygerberg Hospital, Boston City Campus, Northlink College and Cape Peninsula University of Technology, among others. Students travel from across the country to participate in the quality education that these institutions offer. However, as with any city, safety is still a major concern for students as they travel through the area. This concern has been highlighted recently through a ‘campus roadshow’ by deputy police minister Bongani Mkongi after a spate of attacks and robberies has resulted in the need for police presence on some campuses. Through the innovation challenge, the GTP envisages that students who live the reality and are on the ground will come up with innovative solutions, whether big or small, which will keep them safer on the streets and in public spaces. The Voortrekker Road Corridor Improvement District and the South African Police Services are responsible for monitoring and preventing crime in the area, through on-the-ground patrols and an extensive network of closed-circuit television (CCTV) cameras. However, the GTP’s Student Safety Innovation Challenge was designed to find other innovative ways to support what is already being done. Teams of four from residences in the area need to submit their ideas by 3 May to http://bit.ly/SafetyInnovation, accompanied by a 60 second WhatsApp video pitch to 073 870 5039. Shortlisted teams will be notified by 13 May and winners will be chosen at a pitch event held in June. Visit http://gtp.org.za or email info@gtp.org.za for more information.